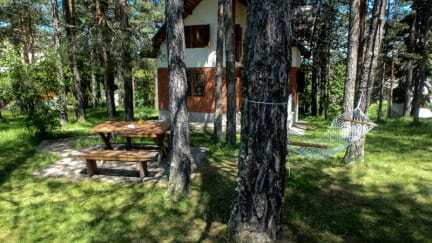 Tara Hostel & Hiking Center i Kaludjerske Bare, Serbia: Bestill nå! We are located at the heart of Tara National Park just 5 minutes walk from the bus station in Kaludjerske Bare. The hostel provides maps and the best hiking tips for the area. Tara became a hikers paradise since there are 220 km of hiking trails very well marked and labeled. Tara Hostel & Hiking Center is located at the starting point of all the hiking trails. 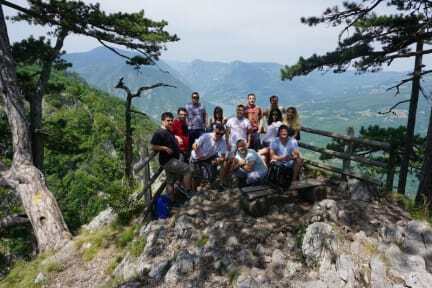 From the hostel you can take a hike to the summit Zboriste 1555 meters (4 hours hike), lake Jarevac (45 min. hike), Viewpoint Crnjeskovo (45 min. hike), Ancient town Solotnik (2,5 hours hike), Historical Memorial Borovo Brdo (30 min. hike) and many other amazing hiking trails. We have a big garden, hammocks and benches for outdoor leisure. Fresh mountain air will clear your mind. Rooms are nice and cozy, with a common kitchen area where our guest can cook, read a book or simple just share their stories with a nice shot of Rakija. Check in from 07:00 to 19:00.